F.D. Moon Elementary is one of 12 Oklahoma City schools participating in the Learner First academic improvement program. A program intended to boost academic performance in struggling schools is being paid several times as much in Oklahoma City as it was for doing essentially the same thing in a Washington state school district, records show. The two school districts have a former school superintendent in common: Rob Neu, who in April reached a separation agreement with the Oklahoma City school board after a rocky, 21-month tenure. The Learner First program, based in the Seattle suburb of Bellevue, was paid just under $225,000 for the first year of its contract there working with six schools in the Federal Way district, according to financial records obtained from district officials. The next year, which covered the 2014-2015 school session, the company was paid just under $500,000 to continue the program and add five schools, for a total of 11. The Oklahoma City Public Schools district, in contrast, agreed in 2015 to pay Learner First $1.6 million to provide similar services to 12 schools here during the 2015-2016 school year. A Learner First executive interviewed by Oklahoma Watch defended the higher cost of the Oklahoma contract, attributing it in part to increased travel expenses, more intense support and better data collection. Neu left his position as superintendent of Federal Way Public Schools and started in Oklahoma City in July 2014, just before the start of the school year. He wasted no time bringing Learner First along with him. An examination of Neu’s calendar entries after arriving in Oklahoma City shows that he was in frequent contact with officials of the consulting firm. Oklahoma Watch obtained Neu’s calendar through an open records request. An initial phone call with Learner First President Joanne McEachen appeared on Neu’s calendar Aug. 18, 2014, though it was marked “rescheduled.” He next booked an 8 a.m. meeting with her on Sept. 2 of that year. After additional meetings, phone calls and contract negotiations over the following months, the Oklahoma City school board approved its deal with Learner First in July 2015. Meanwhile, Federal Way’s new superintendent scrapped the program. “It was ineffective and very costly,” said Geoffery McAnalloy, president of the Federal Way school board. His term overlapped with Neu’s tenure in the district by four months. Learner First’s initial year in Oklahoma City ends June 30, but the school board is expected to consider a second year. Learner First had wanted to expand the program within the district but won’t be able to due to the district’s budget constraints. Oklahoma City’s contract with Learner First is under review at a time when the state’s largest district is slashing millions from its budget for next year to cope with a state revenue failure. Teacher and support staff positions have been eliminated, and programs are being reduced. Aurora Lora, associate superintendent for the Oklahoma City school district, said she and other staff members plan to scrutinize the program’s effectiveness by looking at school attendance, discipline and state test scores at the participating schools. Formed in 2012, Learner First is a small consulting firm that provides schools, school districts, school boards and other entities with leadership coaching and tailored assessment in an effort to improve student achievement. In addition to Oklahoma City and Federal Way, the firm has worked with schools in Hawaii, Finland, The Netherlands and other locations. A report provided by Learner First shows the Oklahoma City program has produced positive results. It cited improvements in reading for kindergarten through second-grade students and grade-level math for third-graders through seniors. It also showed improved attendance for all grades. Learner First says its program helps boost attendance by changing the school experience so kids will want to come to school every day, not through any kind of disciplinary crackdowns. Principals whose schools are participating in the program said they’ve seen improvements in the first year, and hope the program continues. “It made us accountable to the way we were teaching, and think of a variety of ways to look at the child as a whole,” said Warren Pete, principal of F.D. 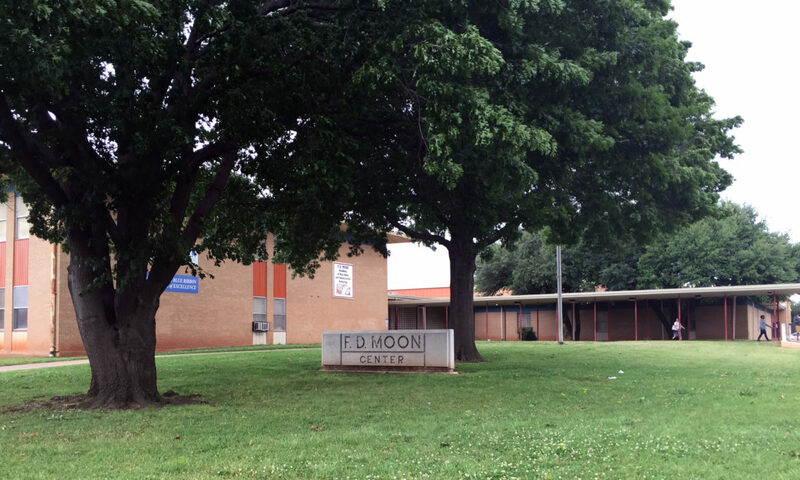 Moon Elementary in northeast Oklahoma City. Learner First describes its program as a three-year process in which school leaders are coached on ways to accelerate performance of traditionally underserved students: minority students, English language learners and special education students. That process is intended to create system-wide shifts that benefit all students. In Oklahoma City, the program has targeted about 1,500 kindergarten through second-grade students and 2,000 third-graders through seniors. Federal Way’s first-year participation was 650 students and 240 teachers, documents show. Part of the higher contract amount in Oklahoma City reflects travel costs, its executives said. Three Learner First “change catalysts” visit Oklahoma City twice a month. In addition, McEachen and Davidson travel to Oklahoma City once a month to coach district leadership and visit the schools. All Learner First personnel are based in the Seattle area, except for one who is in Portland. Oklahoma City is also receiving more intense support than Federal Way because all 12 schools are in their first year of their participation, Davidson said. In addition, she said the firm’s data assessment process was improved for Oklahoma City.